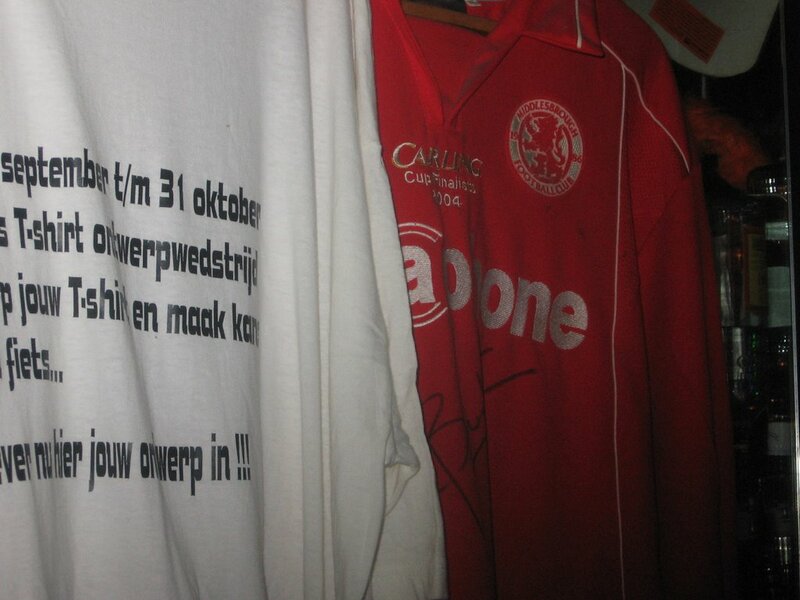 I went to Akkies Bar in Maastricht last night which is next door to ex-Boro Boudewijn Zenden's families' gym. Proudly standing behind the bar was a Boro shirt signed by Zenden. I had been told by someone about a year ago that the shirt had been replaced by a Liverpool shirt, but following Mr Zenden's lack of appearances the management have decided to put the Boro one up again. I wonder what percentage of his playing career he has actually been playing.